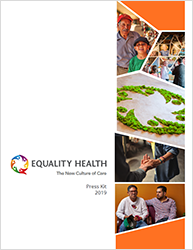 Equality Health, an Arizona-based organization revolutionizing integrated, holistic healthcare delivery to diverse populations, announced it has appointed Tom Betlach to its Strategic Advisory Board. HealthBI is poised to lead market in 2019 for payer-provider collaboration technology augmented with accountable community networks to solve social determinants of health at scale. HealthBI and TAVHealth team up to offer a scalable community care coordination and social determinants platform that can be used in any geographic location. HealthBI invites media to grand opening of company’s new headquarters at Cooper’stown in Phoenix. In another signal of its intention to be the most trusted managed services organization in healthcare, Q Point Health (Q Point) has earned the rigorous URAC accreditation for credentialing providers. This demonstrates that Q Point adheres to the highest possible national industry standards when vetting a provider’s credentials to join a health plan’s network. Q Point is a division of Equality Health, which offers a provider network of its own that operates under a unique “culturally competent” model for delivering integrated healthcare.